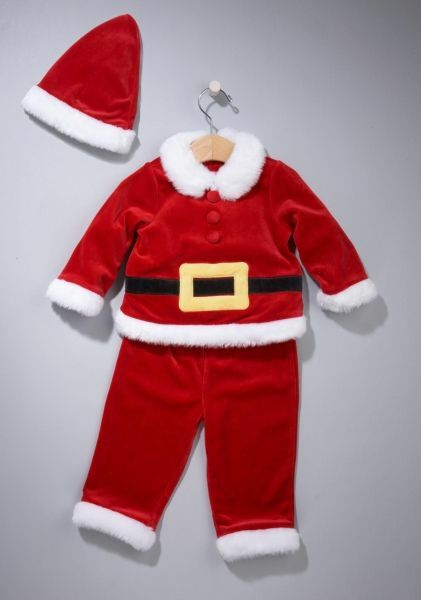 First Impressions Boy’s Three-Piece Santa Set. About 9,600 sold. Loose buttons on the suit’s jacket may easily detach, posing a choking hazard to young children.